Balnarring’s shopping village is located 2 kilometres inland of Western Port Bay and includes a supermarket and a good selection of speciality shops. Ting Tong Kanteen is a great new addition to the area, something a bit different, something quite unique and uncommon for the Peninsula. 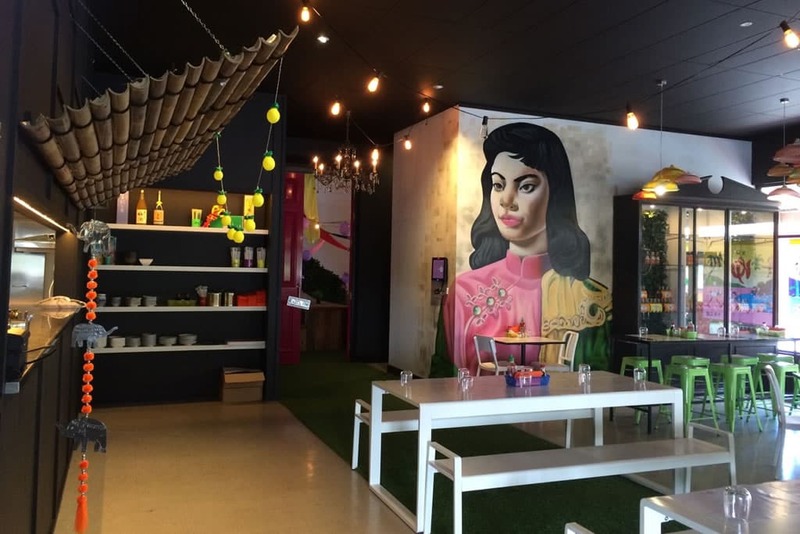 It’s a casual yet colourful and flamboyant Asian Fusion Kanteen serving delicious food, well worth a visit! Take a peek. Wise & Co Dispensary is a whole lot more than just a pharmacy. The cool fit out and carefully selected items ensure you’ll go there not only for your pain relief but also for a major dose of retail therapy! Whether you are buying a gift or you need a “pick me up” of the retail variety, this is your shop! Red Hill Nourish is your one stop Organic grocery store. Everything from veggies to Kombucha, this shop has the lot. So cute and colourful too! Have a look. That Little Shop is full of surprises for your home and of course yourself! Choose from cushions, artwork, coloured antlers (!) jewellery, clothes and lots more. You could get lost in here for hours. Check them out here.